BOY!!! Most people have guessed girl and I was included in that. I for sure thought I was having a girl. We are so beyond excited to give Cruze a baby brother! Watching baby boy on that ultrasound screen was surreal. We've been here before but it doesn't change how magical and special it is. He was moving ALL over the place. Like crazy. And his little profile? I die. Seriously could not stop looking at his picture the rest of the day . It's on my fridge now and I stop by it at least 5 times a day just to stare. Our hearts are already so full and so so ready to expand our family. (Although I had a rough couple of days with the idea - more on that in a future post). Aww a sweet little brother for your sweet little boy. Congrats! Congrats! 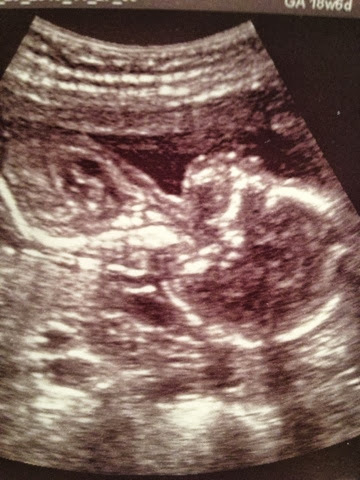 I was so sure it was a girl (lol, as if I really had any idea!) 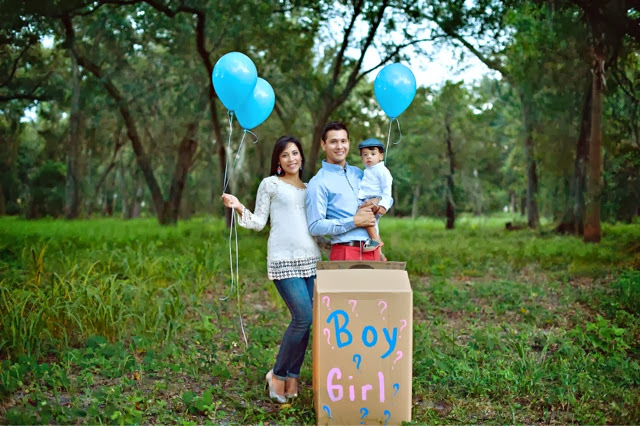 I love your gender reveal picture, so adorable and pin-worthy! Awe congrats! I though girl too but I'm 100% wrong 100% of the time!